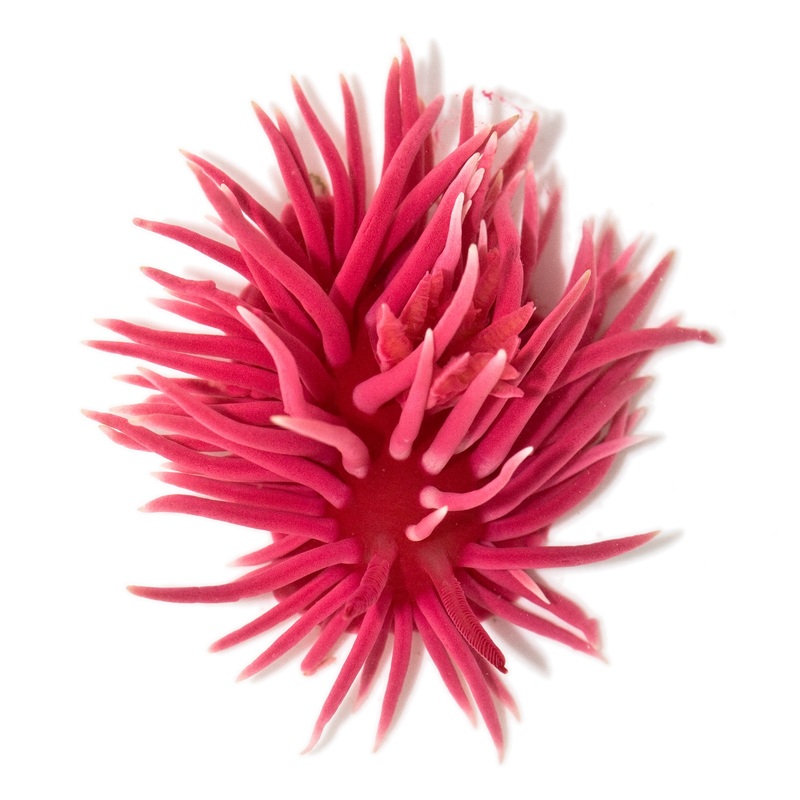 Looking for all the world like a sea anemone, this fantastic sea slug comes from the west coast of the USA, between the states of California and neighbouring Oregon. They're tiny! 3 cm (an inch) would be an unusually large specimen, many are half that. But they look fabulous! It's named after a fellow called Timothy Hopkins, who helped found the Hopkins Marine Station. I'm not saying he's definitely part of the Cthulhu cult, I'm just saying it's nice that the cult has some cheery colours to go with all the doom and gloom. Even though I doubt this rose smells quite as sweet as most others. It's difficult to see amid the endless tentacles, but among them all is a pair of pink rhinophores and a bundle of pink gills. The rhinophores are used like a nose or antennae to sniff out what's going on around them. They're on the head end. The gills are on the tail end. You can see them because Hopkins' Rose is a nudibranch, and nudibranch means "naked gills". The odd thing is that some nudibranches don't have gills, they're covered in tentacles called cerata that increase their surface area so they can breathe entirely through their skin. It almost looks like Hopkins' Rose has a bit of both worlds. Or a lot of both worlds. I guess that's the kind of free-spiritedness you'd expect from a shade of pink like that. 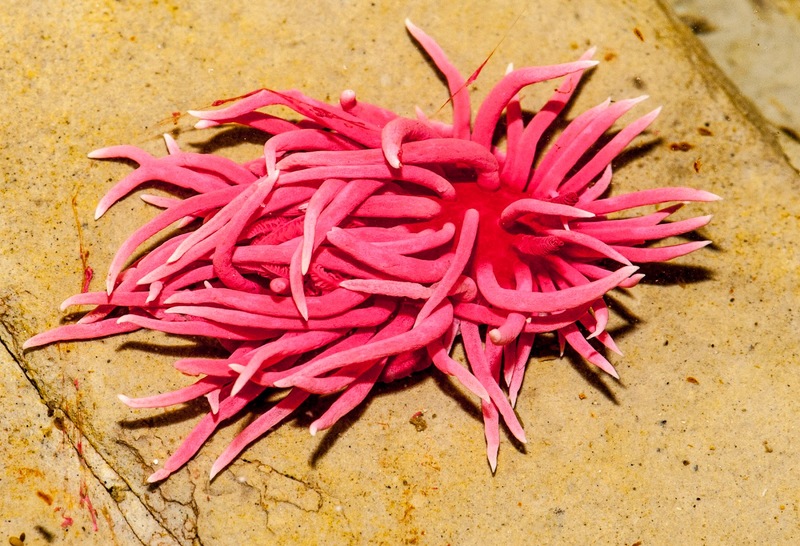 Regardless, Hopkins' Rose is firmly placed in the dorid group of nudibranches, the ones that have gills. Especially since their tentacles, or papillae, are quite different from the cerata of those other nudibranches. 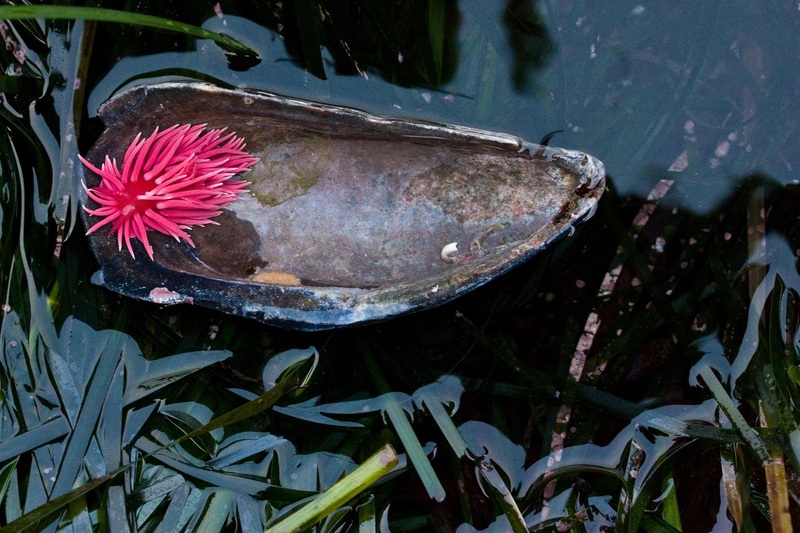 Many nudibranches are well known for their ability to steal defences from their prey. The most famous has to be the Blue Sea Slug, which floats on the water's surface and feeds on the Portuguese Man O' War. They not only eat it, but also take in its stinging cells and incorporate them into their own body so they can sting predators when attacked. A lot of nudibranches can do that on the sea floor, too. They make use of hydroid stinging cells or toxins and nasty-tasting stuff in sea squirts and bryozoa. Hopkins' Rose feeds on a bryozoan called Eurystomella bilabiata. It's pink! And it's pink because of the exact same pigments found in the nudibranch. So it's very likely that Hopkins' Rose gets its lovely colours from the food it eats. 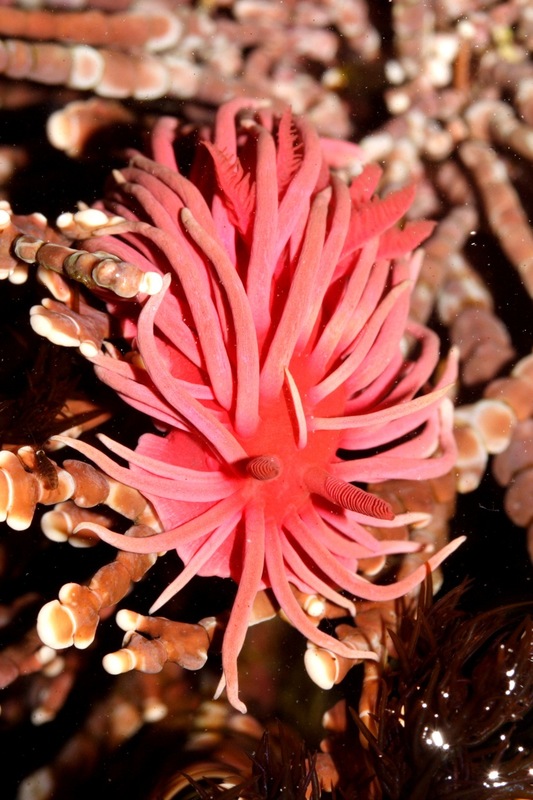 I'm sure it's all very clever and pragmatic to acquire stinging cells, toxins and poisons from your food, but it's lovely to know that at least one nudibranch out there doesn't forget the simple pleasures of a nice shade of pink. Haha! I know I would! how cool! reminds me of those squishy stress balls. 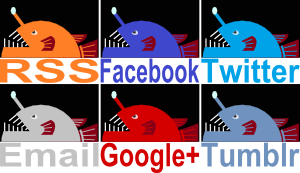 Your blog is my favourite blog. Life forms, especially the weird, lesser-known ones you usually feature, are my absolute favourite things to look at and learn about. I love how informative your posts are and I really enjoy your sense of humour. Every time I come here I'm rewarded with interesting information, awesome pictures/videos and a genuine laugh. Thank you! Thanks a lot! Yeah, I'm all about the weird lesser-known ones. Glad you're enjoying it!